Welcome Home! This updated 3bed 2 bath home in Green Valley Ranch is ready today! All new carpet and interior paint make this home feel fresh and new! 2 optional entrances from the front door or through the gate and side door. The main floor provides it's own optional and separate living space with a family room Bedroom and Bathroom. The upper level is complete with a family room, kitchen/dining, two bedrooms, and a full bathroom. The kitchen is beautiful with newer cabinets, and nice appliances (included!) The Balcony off family room provides a nice space to enjoy the morning sunshine. Solar panels are providing optional savings on utilities! Private fenced yard. 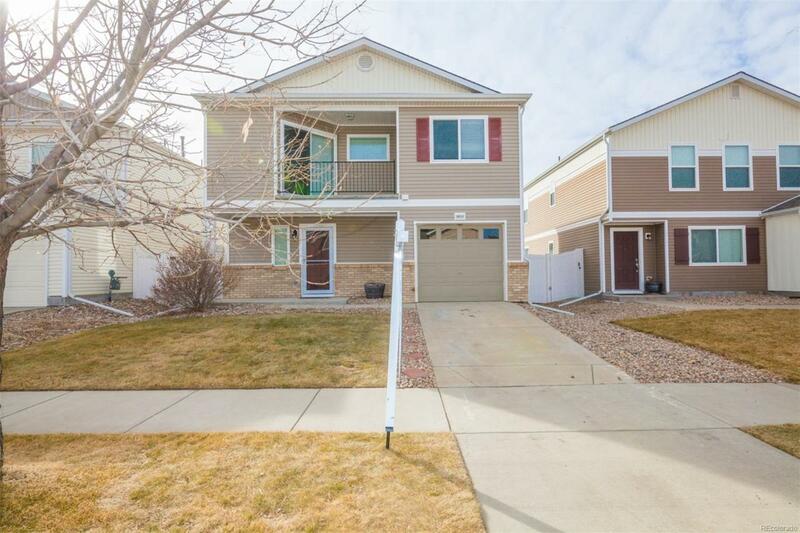 Walking distance to the park, close to shopping, schools and minutes to DIA! Show today! !